Buy their shoes…and they plant a tree! Yep, our friends at Oboz are as passionate about the environment as they are about designing great shoes for your outdoor adventures! Their new Juniper Low Shoes are a stellar shoe from their Main Street to Mountains series, a line built exclusively for women and as their name implies, take you from your urban adventures to your trailside adventures with ease. A solid Swiftcurrent outsole provides the support, traction, and stability that are needed as you make your way up the mountain, even on the most uneven of slopes. Moving inside, the O Fit Insole gives you the cushioning, shock absorption, and support to keep your feet comfy for those long distances. 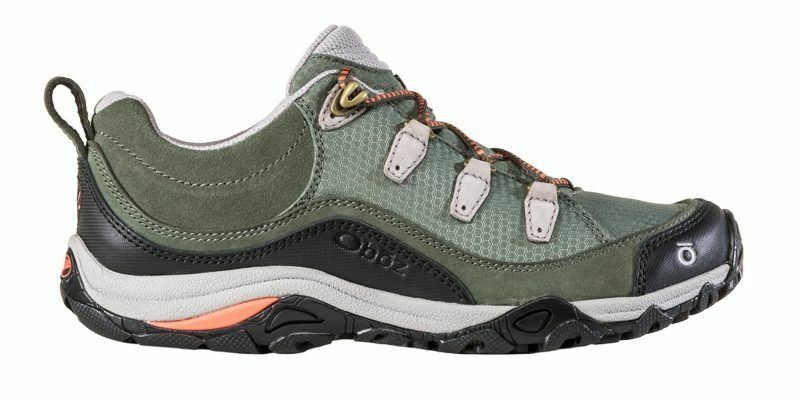 A low profile protective toe cap is a welcome feature to safeguard toes from those rocks you encounter along the trail. On top of all this, the Juniper is a good-looking, sporty shoe with zero break in time! Can’t go wrong with the new Oboz Juniper Low Shoes!